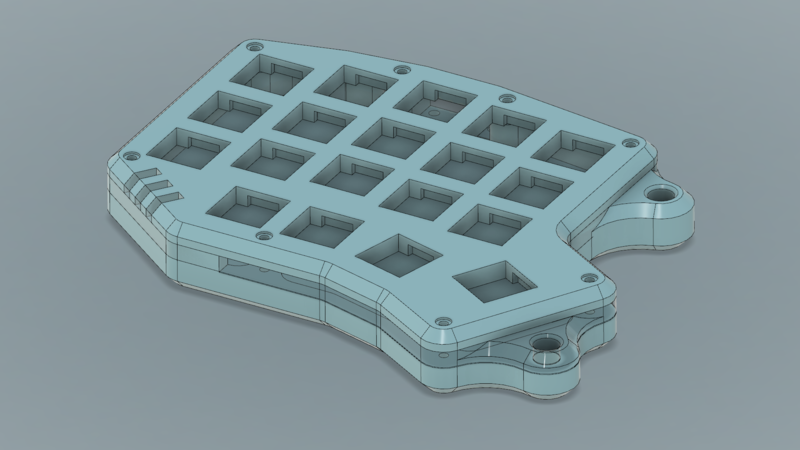 I’m learning about keyboard design, 3D modelling and printing techniques. Starting out with a tiny board seems like a good idea: it’s smaller to print and iterate on. Thus, I’ve spent some time creating my own variant of the Minidox, made by That Canadian. A mounted USB breakout board to provide some more rigidity than the standard Pro Micro USB port. I’ll post a build log when I get all parts printed and assembled.